Just imagine, all your careful wedding reception preparations and plans have played out to perfection, as you enter your reception in triumph, with your husband and bridal party. You picture a room of smiling faces. 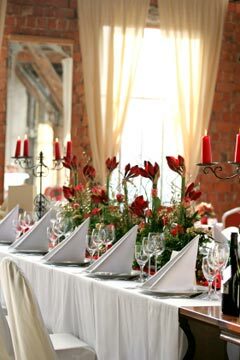 Beautiful floral arrangements and candelabras adorn each table. You have arrived at the greatest party of your life and it is party time at last! 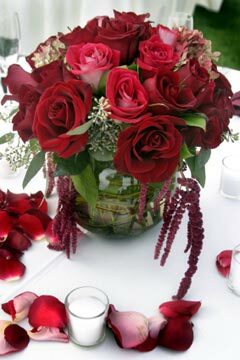 Your main wedding table centerpiece and the wedding flower centerpieces are even more beautiful than you’d hoped and the candelabra displays light the reception room like a field of little bonfires. 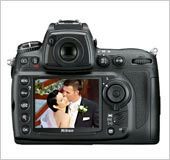 Every part of your wedding party from the musical selections, to the arrival of the food and the cutting of the cake have been timed to the minute. The best man and your father satisfactorily paralysed with fear at the thought of making their speeches. It sounds like a dream, but it doesn't have to be. You truly can have the perfect wedding party. However, you do have some wedding planning ahead of you. 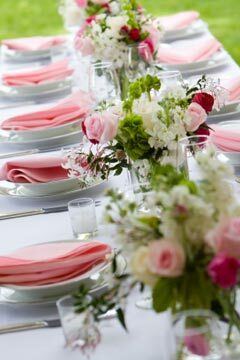 It's time to roll up your sleeves and get your wedding reception decoration ideas on to paper and get the ball rolling. 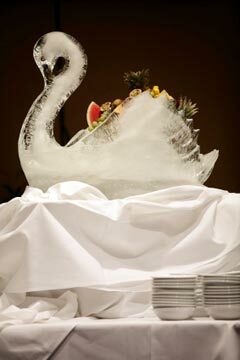 Have a look at some wedding decoration ideas, pictures of wedding receptions and wedding reception table decorations. You're sure to find something here below. 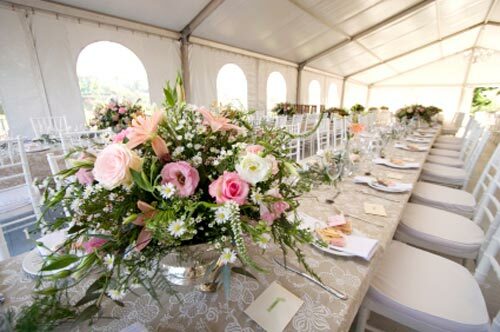 If you are contemplating on doing your own wedding planning, you'll want to have a good look at what's hot and what's not when it comes to wedding reception decorations. Have a look at our wedding reception decoration ideas below. This site is full of ideas and pictures, that you're sure to find something you love. 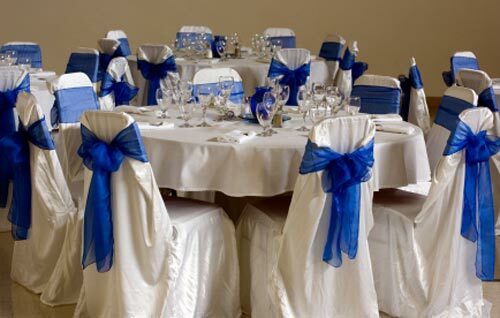 Blue and white wedding theme. 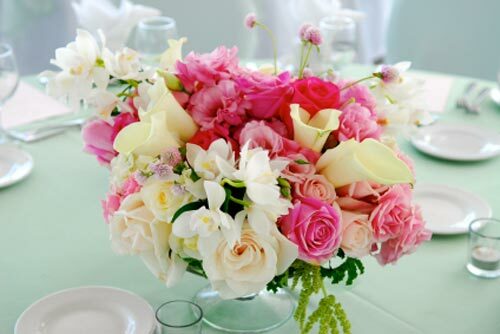 Fresh flower wedding flower centerpiece. 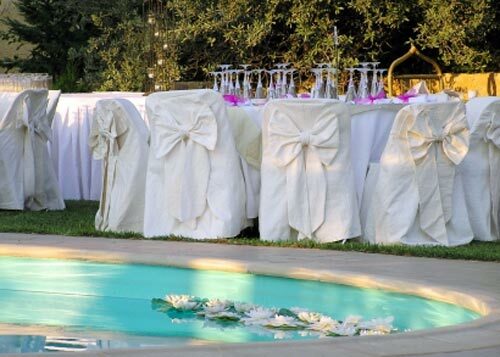 Afternoon pool wedding, outdoor wedding. 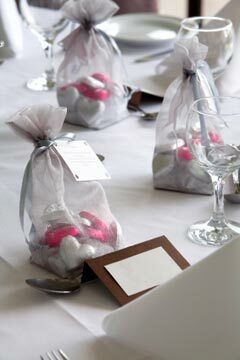 Bonboniere or wedding candy favors. 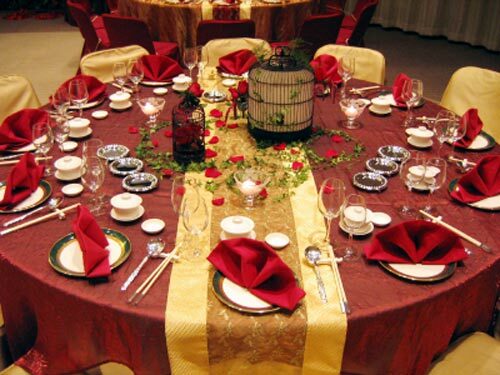 Gold and red wedding table setting. Fairy godmother tip! When decorating for wedding receptions, sometimes it's hard to know where to start. 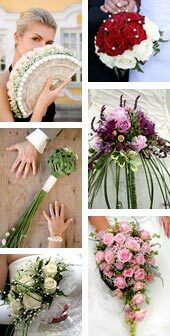 So before deciding on any wedding reception decorations, it's important to know what type of reception you will have. 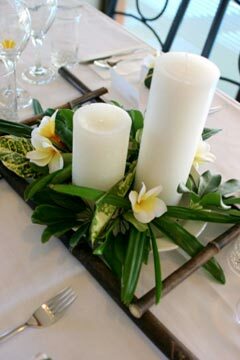 Your wedding venue may already have in house candelabras or centerpiece vases free for you to use. You may only need to fill them up with fresh flowers the morning of your wedding day. Be sure to deligate what needs to be done to your chief bridesmaid and and the rest of the bridal party to insure everything runs smoothly according to plan. You need to decide on the type of reception you want. You can have your wedding party just about anywhere. 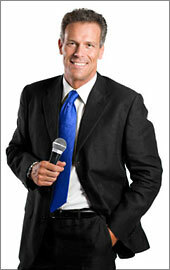 However, if cost is an issue you may be a little restricted. 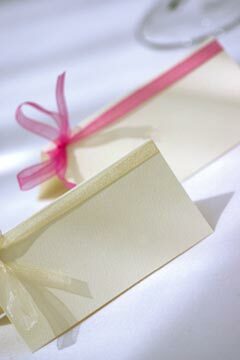 • Is the reception or wedding venue available on your wedding day? Do they cater for day time and/or night time weddings. 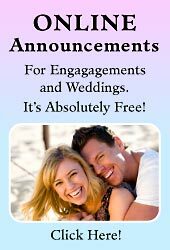 • Do they have all the amenities that you require to have your dream wedding? Or do you have to compromise your wedding plans in order to have your wedding there? 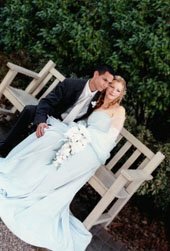 • Does the reception or restaurant have a change room or resting place facility for the bride and bridesmaids? If not, you may need to hire a small out door tent. • Is there sufficient space or Room for a band or dance floor? • Is there a lovely outdoor garden or pagolla near by? The perfect prop or backdrop for your wedding photo's etc. • Do they have adequate parking facilities for all of your guests? • Can they accomodate for a large wedding guest list? • How much do they charge for children's meals? 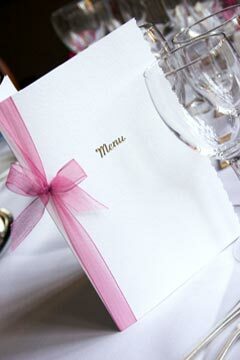 The price for a child's plate at a wedding is usually 45% less than adult meals. • Do they cater for small weddings, if so, what is their minimum head count? 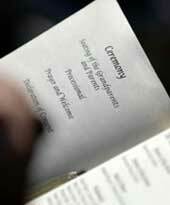 If you are having a small wedding reception for only 55 people, some receptions have a minimum cost for 65 people, in this case they may charge you for the extra people that are not attending to make it worth their while.